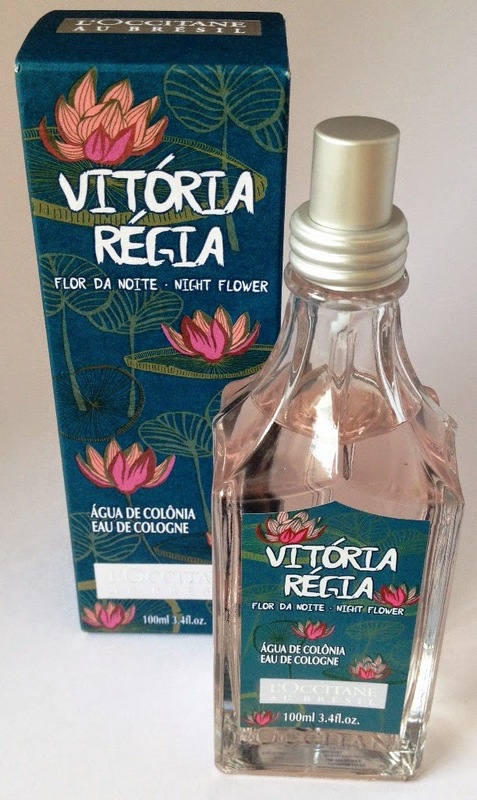 L'Occitane's Vitória-Régia Night Flower Eau de Cologne is from the Limited edition au Bresil Collection. The Vitória-Régia Night Flower Eau de Cologne captures the richest scent of the pink, fully blossomed vitória-régia petals, in a voluptuous floral perfume. Initial powdery notes give way to the sensual vitória-régia notes in the heart of this fragrance. It contains a vitória-régia extract from the Amazônia region of Brazil. I really like this slightly sweet but sensual floral fragrance, it does remind me of something else already on the market but I can't quite put my finger on what.. anyway no matter it is one that appeals.